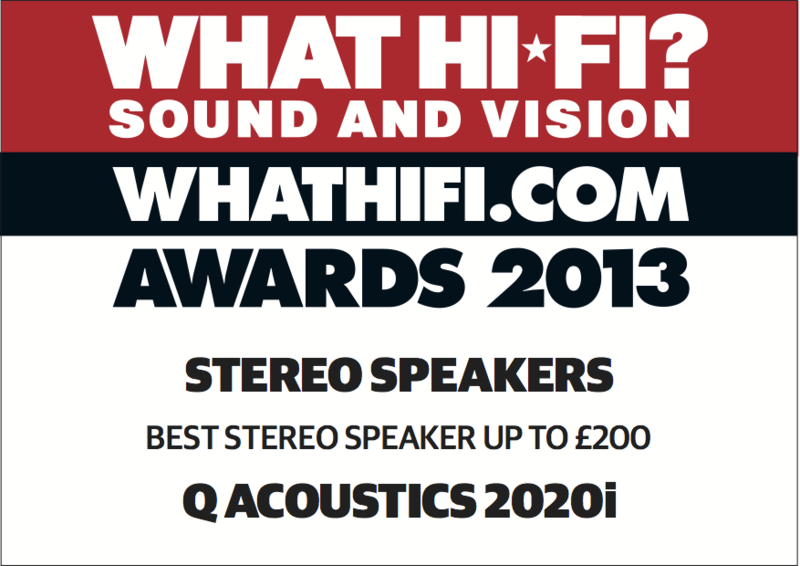 Multi award-winning Q Acoustics 2020i speaker is a medium sized bookshelf design that exudes quality. The beautifully finished, low resonance cabinet encapsulates the 25mm ferro-fluid cooled tweeter and precision-engineered 125mm bass driver to produce a speaker with extended bass. The medium sized 2020i bookshelf design exudes quality. The beautifully finished, low resonance cabinet supports a 25mm ferro-fluid cooled tweeter and precision engineered 125mm bass driver to produce a speaker with extended bass, an open mid-range, astonishing transient response and exceptional high frequent clarity. The 2010i can also be stand or wall mounted, using the dedicated 2000ST stand or 2000WB wall bracket, for ultimate flexibility. The 2020i is a 2-way reflex design with a 25mm ferro-fluid cooled tweeter and 125mm bass unit, which ensures a most dynamic sound at this price point. Various speaker positions can be accommodated in your chosen room by providing a foam bung, which can be inserted in the rear-mounted reflex port modifying the bass response to suit positioning against a rear wall or close to a corner. Available in Graphite, Walnut, Gloss Black and Gloss White, the 2020i can be stand or wall mounted, using the dedicated 2000ST stand or 2000WB wall bracket.